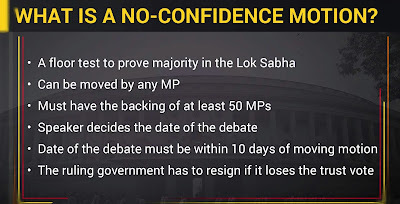 Everything you need to know about the Friday's "No-Confidence Motion"
"No-Confidence Motion" is a dangerous weapon of the opposition party if he proves the majority against the ruling party. A most liked and viral image after the "No-Confidence Motion"
Only the electorate of the country can decide his fate and make him set on his chair," Modi said before asking, "What is Hurry?" Gandhi was present in the house when the Prime Minister made the statement. This is the first "No-Confidence Motion" In 15 years. The first no-confidence motion faced by the Narendra Modi government on Friday initiated by the Telugu Desam party saw spirited attacks by the opposition and a strong defense mounted by the government with the latter firmly expected to win the final vote. However, the debate in the Lok Sabha also showed up surprise political alignments with the NDA ally Shiv Sena refusing to participate in the debate or support the government and the neutral Biju Janta Dal abstaining from both debate and voting. If a member of the house feels that the government does not enjoy this majority then they can move a "No-Confidence motion" if the motion is accepted then the onus is on the government to defeat the motion in order to prove its majority in the house. 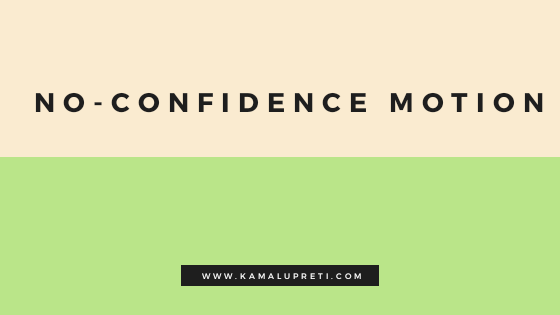 Neither a confidence motion nor a no-confidence motion is mentioned in the Constitution. But Article 75 spells it out that “the council of ministers shall be collectively responsible to the House of the People”. this implies that the majority of Lok Sabha members must support the prime minister and his cabinet. A no-confidence motion is an attempt, usually by an Opposition party, to get the government of the day to prove its majority on the floor of the House. 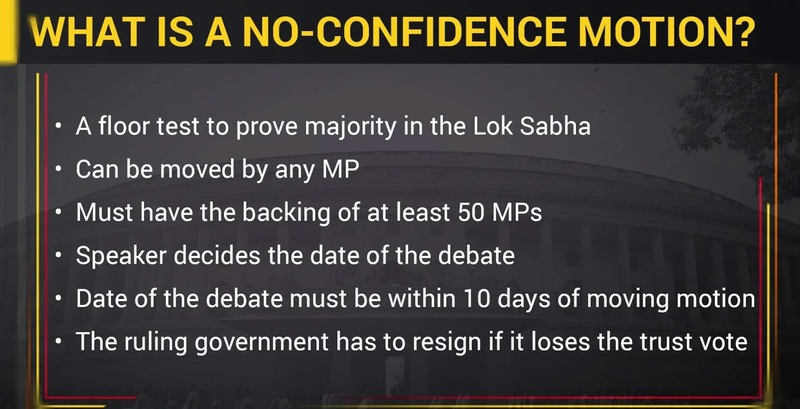 The motion can only be moved by a member in the Lok Sabha, and, once moved, offers MPs an opportunity to discuss the government’s performance, before voting on whether the ruling party has the “confidence” of the House. Mr.Modi said, "As I listened to the speeches I realized that the words flew not unknowingly or due to false confidence but from arrogance." 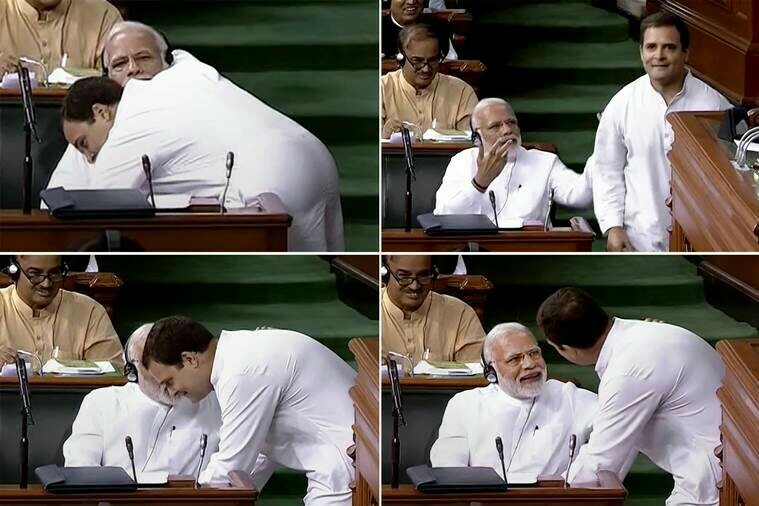 Slamming Congress president Rahul Gandhi surprise hug at the end of his speech. 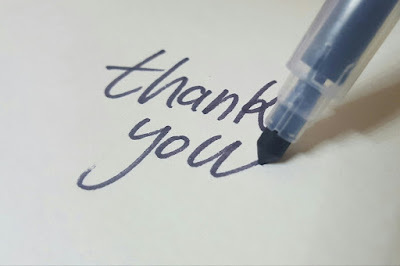 Mr. Modi said it reflects a "Hurry to come in power"
Your little appreciation and honest feedback make me write even more. A person who feels appreciated will always do more than expected.